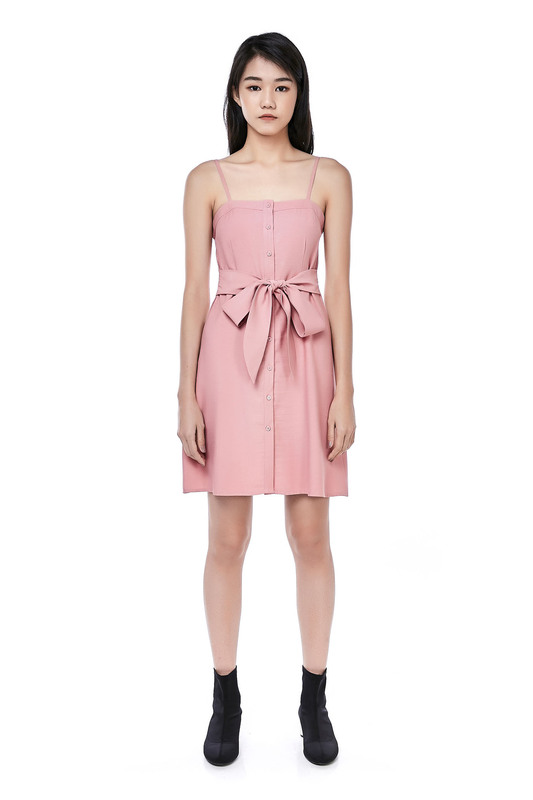 This sleeveless dress is made from smooth polyester. It has a square neckline and features button-down detail on the front with strap tie at waist, made in a fitted silhouette. XS: BUST 15.0" , WAIST 13.0" , HIPS 17.5" , LENGTH 34.5"
SMALL: BUST 16.0" , WAIST 14.0" , HIPS 18.5" , LENGTH 35.0"
MEDIUM: BUST 17.0" , WAIST 15.0" , HIPS 19.5" , LENGTH 36.5"
LARGE: BUST 18.0" , WAIST 16.0" , HIPS 20.5" , LENGTH 37.0"